This new year kicks off a new Frizztext Alphabet Challenge, and my personal challenge is to use Spanish words each week. Although ‘ceviche’ popped to the front of my mental list, I realized that my number-one garden pest also starts with a C.
Chivos! Cabras! The locals in Ecuador call them, Chivatos, but I call them “Damned Goats!” I am presently replacing an old bamboo fence with a new one to keep them out of the yard. Ecuadorians call bamboo, ‘Canya,’ so that’s one more C-word to share with you! They strip the entire yard bare and gnaw the woody stems. Grrrrrrrrrrrrrrrrrr! They seem to have a network of spies that reports when I leave the house! At times I catch them, and the chase begins… This morning we had a break in the rain, and I heard the bleat of a goat. I dashed to the window to see one small goat standing inside the gate. It quickly turned, squeezed back through and joined the others! The funny part is, when they’re not around, I sort of miss them! So that’s my word for the day, and the reason I continue improving the canya fence! See Frizztext’s post HERE for great illustrations for C.
Especially love your opening shot! thanks! that goat’s eye glowed with the sunlight. i’ve been threatening to have a huge goat roast! the last time they slepped around the edge of the rocks on the riverbank, and they stripped the yard. nibbled a starfruit tree to a one-inch high nub. JA! we need an espanol specialist to set us straight on that one! That really gets my goat .. hehe, sorry couldn’t resist. thanks! that’s funny! yes i can! yes, the goats are unique animals – i can usually hear – or smell – them before they arrive! Oh dear, what rascals. But so cute and they know they are photogenic too. C is for Chase too; they seem to like a game of chase. 3. find this refreshing comment! thank you so much, amiga! That is a lot of goats! Are these just wild wanderers? I wish you luck with your canya fortification campaign, Lisa! thanks, lynda! yes, the goats and i have a bitter-sweet relationship. as long as they’ve not stripped the yard, i enjoy going out and ‘saluting’ them as they pass by the house. they have a home and return there each evening, but they have ‘free range’ in this little shrimp-farming valley! at the end of the dry season, they venture a long way from home each day. with the very-wet january we’re having, they should have ample grass closer to home really soon! the little ones are so precious! it will be fun to see images of your ‘Fainting Goats’ and learn more about them! 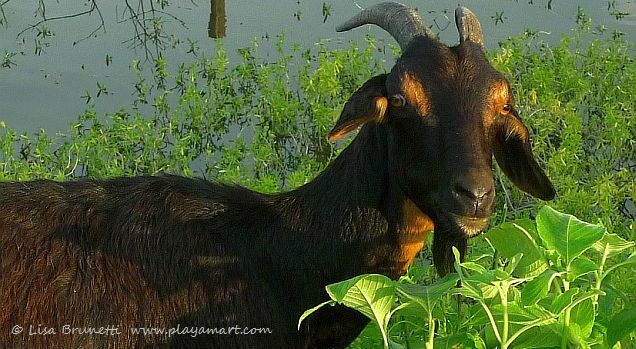 “number-one garden pest also starts with a C” – I’m amused by your free living curious goats – imagine: better than strolling elephants or bears! you inspired me to write about “Animals Strolling Around” – scheduled for Sunday with a link to YOU! I’m fascinated by your strolling goats! i loved your latest post! that horse is quite intelligent! Are these goats wild or just domestic goats that the owners don’t fence in? Fascinating — and lovely. I can understand your ambivalence. they have a ‘home’ where they return each evening, thought they have have a wide free area where they graze each day! they find their way to my area at the end of the dry season when vegetation is scarce. ah, my yard surely beckons like an oasis! i truly can’t blame them for sometimes breaking through a weak area of the fence. i would too if i were hungry! we’re receiving lots of rain – all yesterday, through the night and nonstop this morning. the goats will soon have all they can eat much closer to their home! Beautiful images! So they love outside with big red huh? ha! but of course! they do much more damage than big red, as well! rosemary grows here, and it would look lovely in the border. i’ve not seen lavender, though it might be in the andes as well. i considered putting hot sauce in the bucket of water and standing back to see what happened! now that it’s raining they won’t be so quick to raid the yard or back-up bucket of water! I love, love, love that first photo but am sure they can be quite destructive. Hi Lisa! Veo que ya publicaste la entrada de los chivos, sorry I couldn’t answer you before. Locals often call “chivito” to the calves, but they are really “terneros”. you and your family should drive over one day and help me catch a few! now THAT would be funny! That would be very nice! maybe in a few weeks we can go to Jama. I let you know… but.. I don’t think we can catch them, they look serious. it woujld be great if all of you could spend the day here! it’s been raining like crazy, though. it’s been nonstop for about 36 hours and is coming down hard right now. i have an appointment w/immigration on the 29th.. i think that’s next tuesday.. it’s time for a road trip! ps.. and thanks for clarifying the different words for the goats! Hilarious – those last pictures, with the single and then the many – priceless. thanks! i have lots of photos of those ‘darling’ goats! I had some goat friends as a child (white ones), and I still miss them. Not less after this story. it would be horrid if they found their way into your gardens! yow! miss mary would be preparing goat stew for the entire village! how’s the weather there? we’re on about hour 36 of almost nonstop rain. i’d guess we’ve had four or five inches in 24 hours. taking their photos is quite funny… they know they have to go past me, so they slow down as they ponder their choices, then usually speed up and dash through as fast as possible! I love goats and sheep, but their eyes…I don’t know. Wonderful firts shot! thanks! yes, their eyes are sometimes all but surreal! i like that first one, with the glowing eyes, as well! What a pleasant walk you had, z! Love the photo by the water. thanks! it’s a muddy walk this week! we received about four inches of rain in 24 hours! it’s stopped now, thank goodness! Your pictures are so fun! I’ve only eaten goat once or twice and would never buy it myself to cook but I can happily eat a piece of lamb. Why? hey rosie! that’s funny; i’m not sure ‘why'[ but we humans are funny that way. in fact, one would think we’d be more sensitive about not wanting to kill a soft pudgy lamb yet have no qualms about killing an scruffy goat! i’m reaching that point of being sensitive about killing any animal – i never thought i’d be that way, but i am. if i happen to see that the goats have stripped my yard of all foliage again, i’ll quickly lose that sensitivity again! ha! wow, i’ll bet that your goat might have been ‘authentic ozark’ kind of goat! the ozarks are so beautiful! we’ve had a lot of rain (more like september in central america) so the grass will be greener closer to their home base, and hopefully they won’t be visiting for another eight or so months! Love the goat parade…a love.. hate relationship. We even had electric fences and some would defy that. Those are the ones that got sold.It’s hard to deal with someone else’s goats who have free range. Damn cute goats!! hey! i’m glad you enjoyed the images of the goats! we have a bitter-sweet relationship for sure! i would love to fill a bus with goats and send them in your direction! does coactur come through your area?!!!! 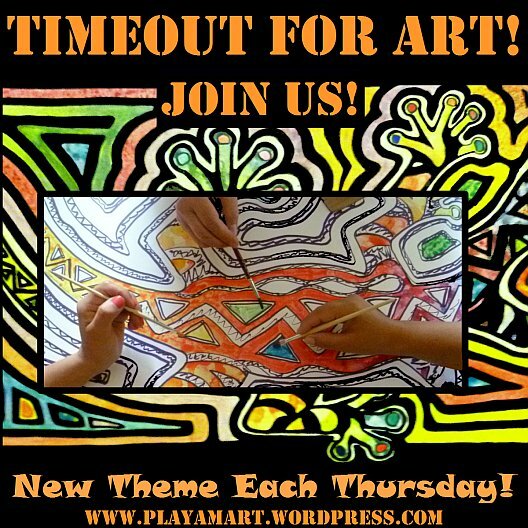 i will be happy to add your site to the blogroll! i’ve not updated in quite some time and was thinking a few days ago that i needed to do some housekeeping under the dashboard! how’s life treating you? we’ve been receiving a LOT of rain, but i’ll bet you’re receiving more. Love the goats. My dad used to raise one in our backyard growing up. It was a fun childhood memory. Have a great weekend my friend. Well, I’ve made it all the way through the comments and not a single person mentioned that “other” creature – the chupacabra! There were rumors around here a few months ago that one had been spotted out in the Davis mountains. Then, there was another report on a ranch near Uvalde. And from what I hear, they’re running loose in Puerto Rico! One good chupacabra as a guard animal ought to take care of your problem, pronto! 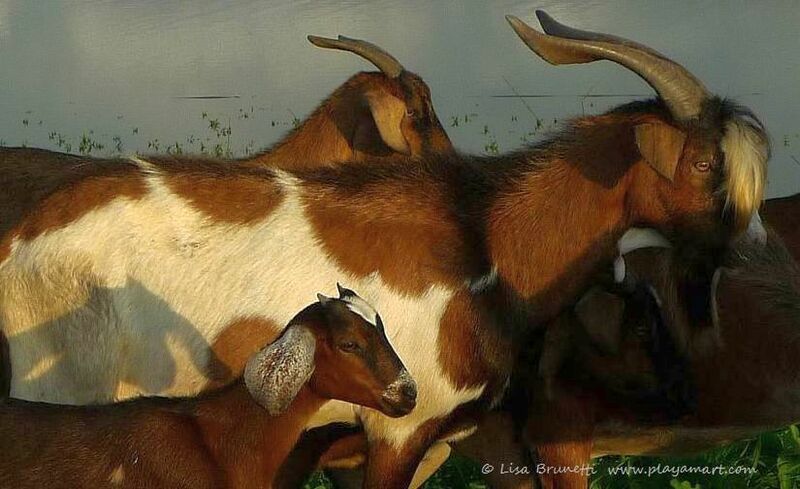 In the Texas hill country, you can spot the ranches that have penned goats. The tree canopies all are flat on the bottom, exactly at the height the goats can reach when they stretch their necks. Later, I found out why he made reference to the goat. i love the directions – so was that a real goat or a stuffed goat?!!! the goat was fat, the pony was fat, and the dog looked happy! the landscape was nice and green! i’ll have to ask my friends if there are any stories about chupacabras! i have one woman in particular i’ll ask – just to watch her reaction. she once asked me what religion i was, and i said, ‘protestant.’ she gasped! i’m not sure what the right answer should have been, but to her, a protestant was not the best answer!!!! yes, one chupacabra would probably keep away all visitors!!!! And what did they answer? ha HA! you’re too funny! now that the rains have returned, and the grasses jumped from ‘none’ to a foot tall in a few weeks, i think the goats will stay close to their home base for another six months!